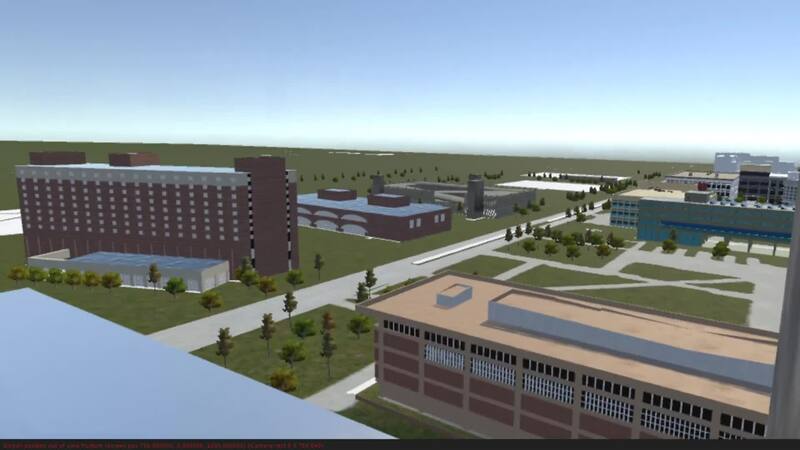 This is a recreation of the IUPUI campus in virtual reality. When it's done, users will be able to explore IUPUI not only as it is today, but as it was at various points in its history! The buildings were done by a team of fourteen modelers. Models were done in Maya and textured in Substance Painter. I'm the lead developer, doing all of the scripting, level design, and asset pipeline engineering. We're also using LiDAR data from the IU repository here in Indianapolis. I wrote an importer that takes LiDAR data and converts it directly into a height map that Unity can use.